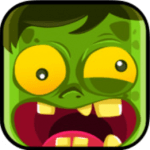 Math Vs Zombies is a FREE iPad app that is a fun and engaging way to learn math. This game free by only for a limited time. All of the questions support addition, subtraction, multiplication and division. This could be a great app for your students as Halloween nears!